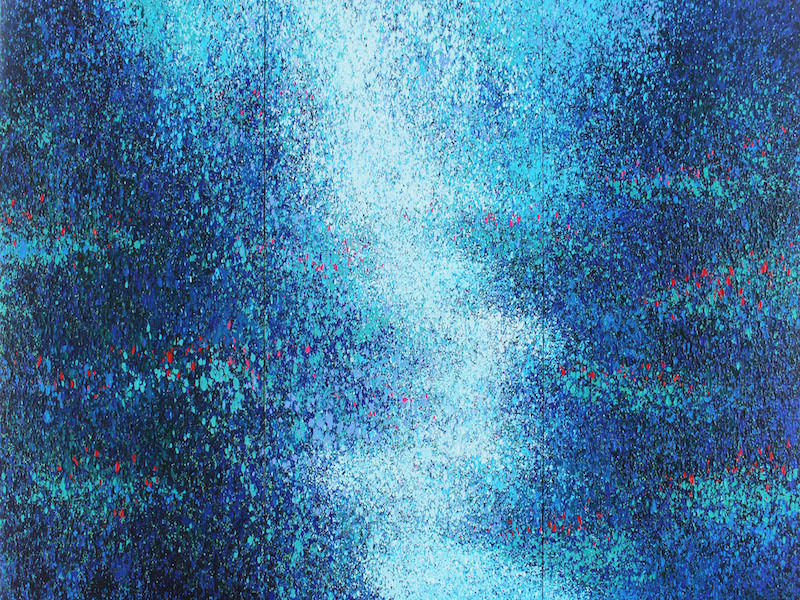 A 2001 alumnus of the Ho Chi Minh City Fine Arts University, Duong spent the first few years following his graduation experimenting with different forms and styles before ultimately gravitating in 2004 to a practice in which one can clearly see the influence of the action painting school pioneered by 20th century American artists such as Jackson Pollock and Willem de Kooning. Acknowledging an affinity for the action painting school, he demurs, however, that his influences are multiple and his current practice is the result of an ongoing process that has taken him increasingly down his own unique path as his confidence and abilities have grown. In terms of composition, Duong’s completed work to date is most naturally divided between landscapes – verdant forests, rocky beaches, cherry blossoms – and a style of portraiture that ranges from the distinctly figurative to the more abstract works of his ongoing Alone series. 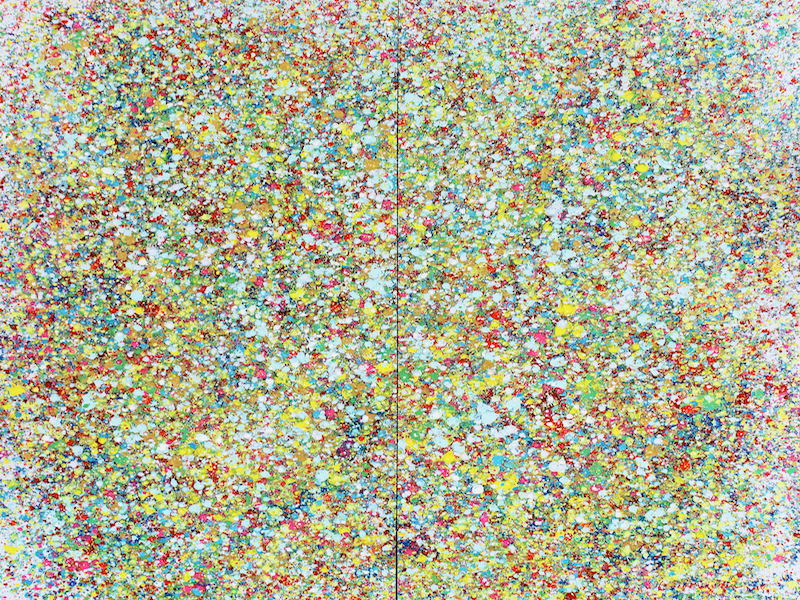 In the two Alone paintings included in the present collection, Duong uses a glossy enamel paint most typically used industrially on cars and houses. His trademark landscapes are primarily done in acrylics. Slightly reticent when asked to speak about creating his work, Duong relies greatly on feeling and a type of inspiration that borders on the spiritual as he describes it. He does not paint daily but rather in spurts as the urge seizes him. Duong works in a large studio in which lying distributed on the floor are typically several large and small canvases in various states of completion. As classical music plays in the background, Duong works on becoming himself a piece of art as he inevitably ends up covered in paint from his ministrations above the canvases. The paintings resulting from this process have a flowing, lyrical quality that is more suggestive of poetry than of prose. He is telling us stories of life and of himself but always doing so elliptically leaving us to ponder on the exact meaning of his work and where he stands in relation to it. In Duong’s debutant exhibition entitled Where Is He Going? in 2005 and his 2010 solo exhibition Dream of Humanity, his figurative work featured full human figures though often abstracted to the point that features and even gender were indeterminate. 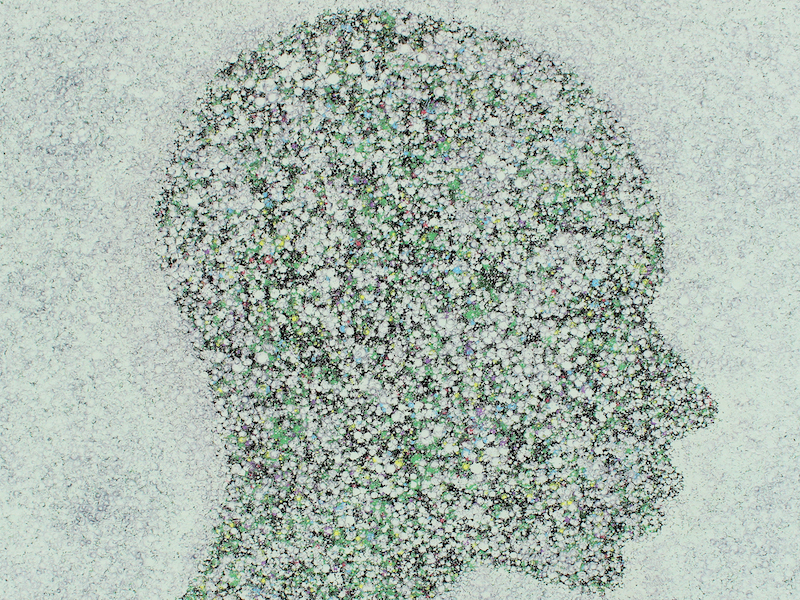 With Memory, Duong has turned his hand fully to portraiture, and, in the case of Memory 1, self-portraiture. What is apparent is that he has achieved a greater mastery of his own practice and is moving from a more inchoate state in his work to a more contained and more evolved style that closely resembles the person he has become. The opening reception for Lieu Nguyen Huong Duong’s Memory will take place on January 23, 2015 from 6pm to 9pm at Craig Thomas Gallery (27i Tran Nhat Duat, D1).